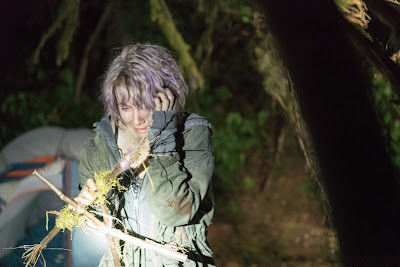 Film-Arcade.net: Official Trailer and First Image for Adam Wingard's Upcoming Film "Blair Witch"
Official Trailer and First Image for Adam Wingard's Upcoming Film "Blair Witch"
When I first heard this news out of San Diego Comic Con, this came off as shocking. Lionsgate recently announced that Adam Wingard's upcoming film "The Woods" is actually the Blair Witch sequel that fans have been waiting for entitled "Blair Witch". 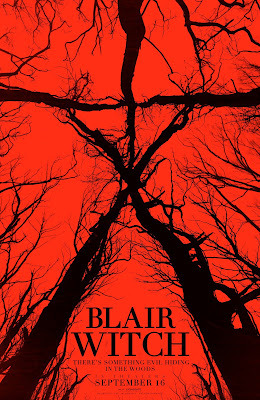 It's the first "Blair Witch" film since 2000's "Book of Shadows: Blair Witch 2" The film stars James Allen McCune, Callie Hernandez, Brandon Scott, Valorie Curry, Corbin Reid and Wes Robinson. "Blair Witch" hits theaters on September 16th.